In a large pot heat the oil and add the onions, fry for a few minutes until golden brown, next add the garlic, salt, pepper, herbs and tomatoes and tomato paste and cook for 10 minutes stirring occasionally. Now add your minced steak. Cook for another 10 minutes, next add a cup of warm water and on medium heat cook mince stirring occasionally – after 20 minutes add another cup of warm water and simmer for 10 minutes and your done. Set aside. Add butter to a medium sized pot and allow to melt on medium to high heat, now add the flour, corn flour mixed with half a cup of warm milk, salt and spices and stir into butter with a hand whisk for a minute or two to allow the flour to cook through. Now add your milk a cup at a time stirring with your whisk until the sauce thickens. Milk and stirring continuously until all the milk has been used and your sauce is silky and a bit thick. Add your grated mozzarella cheese at this point and stir until all cheese has melted. 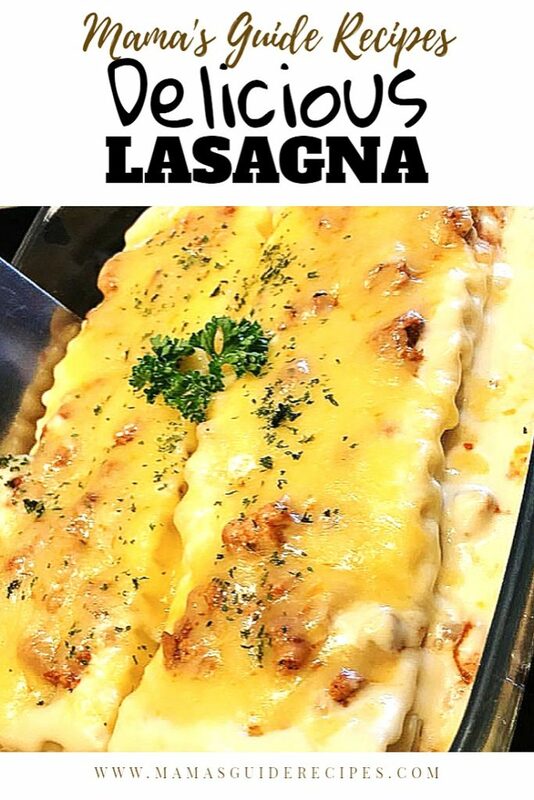 Now layer the lasagna dish first with mince mixture, lasagna sheets, mince mixture, cheese sauce, lasagna sheets, mince mixture, lasagna sheets and remaining cheese sauce on top. Sprinkle with some cheddar cheese and black pepper. Let the unbaked Lasagna rest for about 10-15 minutes before baking. Bake on 190°C for 40 – 45 minutes. Allow to set for 15 minutes before serving. Tip – make sure your meat sauce and white sauce have enough liquid to allow pasta sheets to cook while baking .